Natural disasters like typhoons and heavy storms that lead to mudslides are no stranger to the Asia-Pacific region, including the Philippines, which sees almost annual devastation from Mother Nature from heavy rains and winds. When that happens, the Marine Corps and the Navy sometimes get the call to respond and help in what’s been a long-running relationship well predating the so-called “pivot” to the Pacific. Starting Oct. 8, Marines and sailors with the Okinawa, Japan-based 31st Marine Expeditionary Unit, currently aboard amphibious assault ship Bonhomme Richard, will join with Philippine military forces for a two-week bilateral exercise in the Philippines that’s focused on natural disasters. The ability to respond to natural disasters and conduct the humanitarian assistance demands that often follow are among the key missions for the Marine Corps’ seven sea-going MEUs. 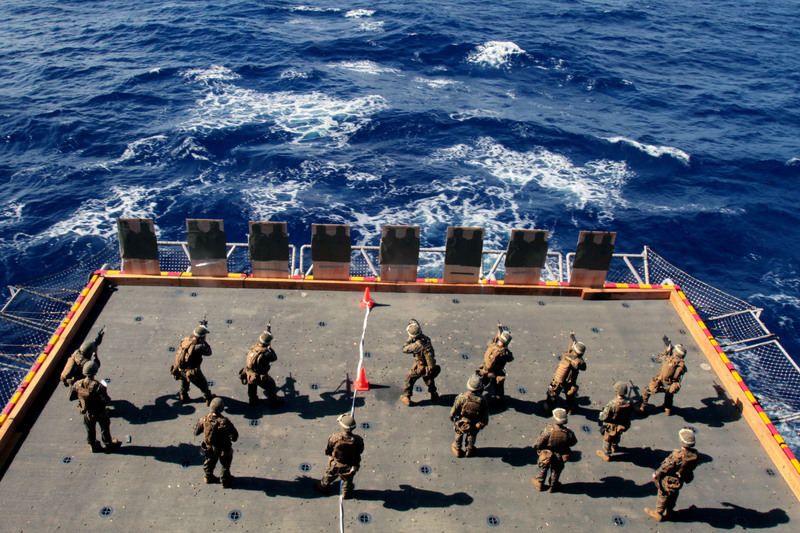 Col. John Merna, who took command of the 31st MEU on June 1, will lead the MEU through the amphibious landing exercise. This year marks the 29th running of PHIBLEX, as the training is called, and about 2,600 U.S. troops and 1,200 Filipino troops will participate, according to the U.S. embassy in Manila. The 31st MEU includes 2nd Battalion, 1st Marines from Camp Pendleton, Calif., as its battalion landing team, Okinawa-based Marine Medium Helicopter Squadron 262 (Reinforced) as its aviation element and Combat Logistics Battalion 31 providing critical support. Marines will train in the field with their Filipino counterparts and join in civic projects, including medical, dental and engineering. The 31st MEU will participate in PHIBLEX at the invitation of the Philippine government. They won’t be the only U.S. unit there for the exercise: Two Navy ships, along with the fast-attack submarine Olympia, will arrive at the former Subic Bay naval base, the Manila Standard Today reported. The training exercises will take place in Zambales and Palawan provinces. The latter is an island-province that faces the South China Sea – now known in the Philippines as the West Philippine Sea, by official decree signed last month – where tense international disputes, standoffs and skirmishes over resource-rich rock outcroppings and tiny islands have become regular events. But disaster relief will be front and center during the exercise, which may ring familiar to some Marines: In October 2010, the 31st MEU helped out when Super Typhoon Juan struck northern Luzon, flooding towns and villages, damaging crops and killing at least a dozen. Already this year, several super typhoons have struck countries in the western Pacific, including two that struck Okinawa and Japan last month and dump lots of rain that overwhelms sewers and water-logged lands. 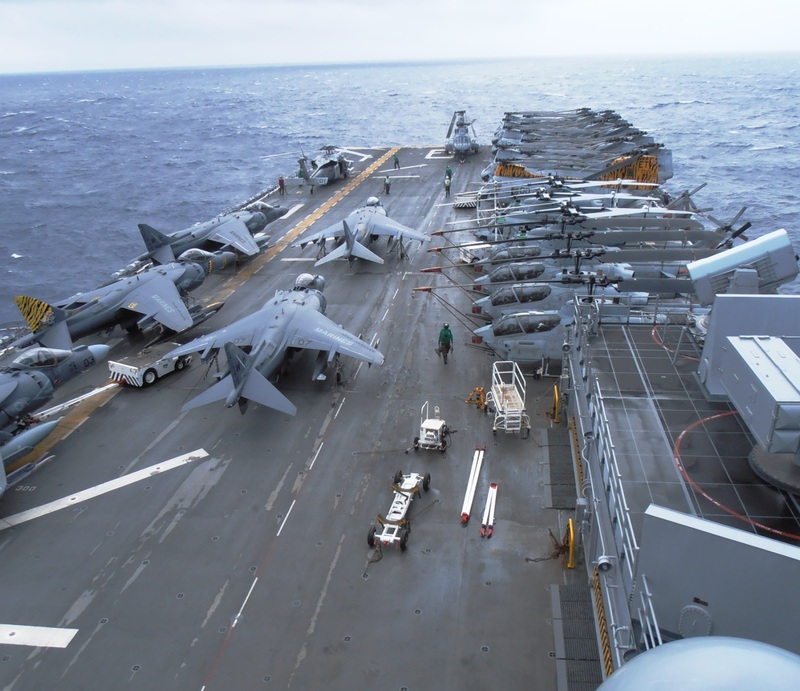 Meanwhile, starting Oct. 10, the 15th MEU and members of the three-ship Peleliu Amphibious Ready Group will join forces with Timor-Leste troops for Exercise Crocodilo. The seven-day training will bring U.S. and Timor-Leste forces together for jungle warfare training, nation-building and medical and dental assistance, the U.S. embassy in Timor-Leste announced Oct. 4. The country, formerly known as East Timor, gained its independence in 2002 after a two-decade struggle to dislodge Indonesian forces before UN troops intervened in 1999. The 2,200-member 15th MEU, who left Camp Pendleton last month for the scheduled deployment, is aboard the big-deck Peleliu, dock landing ship Rushmore and transport dock Green Bay. The Marine and Navy is doing a good job, so far, in extending help to people who were struck by calamity. They are proving that they are not only there to maintain the security of the country from international threats but they are also there to provide assistance and look for a better way to aid those in need.